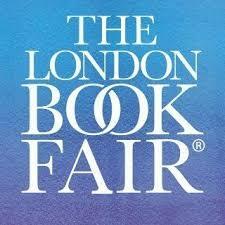 In a secluded English country house, a writer toils away on the final book of a bestselling fantasy trilogy for children. Surrounded by media speculation about the final installment and fighting his own personal demons, he becomes increasingly unstable. When the house is invaded by an intruder and an attractive divorcee moves into the neighbouring cottage he finds himself further distracted from his mission. Plus, there’s the beast in his basement, a shadowy, glaring figure which threatens at any time to break out and destroy his work. Despite the rather “young adult” sounding title, Jason Arnopp’s novella is most assuredly a horror for grown-ups. 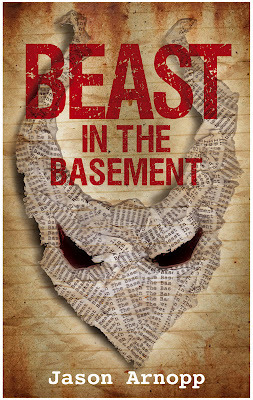 “The Beast in the Basement” is a well structured suspense horror dense with grim expectation. Seasoned horror readers will see echoes of Stephen King in the use of the tortured, reclusive writer, but the piece manages to avoid being derivative. Arnopp handles his writer’s descent into madness well, and the moments of revelation for the reader are nicely paced throughout, making it an engaging read. There are few writers than can keep a reader guessing right until the very end and this is what Arnopp achieves, with a twist so unforeseen that it is difficult to write a review without giving away spoilers. English based horror is a rare creature these days, so my only major disappointment was that so many Americanisms made their way into the piece: baseball bats are seldom found in English country homes. However, “The Beast in the Basement” is a deliciously dark little slice of horror, touching on madness, grief, guilt and the power of the written word. It’s a promising effort from Arnopp and I look forward to reading more.